In the recent times, the fiber optic systems have literally transformed itself as a backbone for numerous companies with reference to their digital communication regime. The fiber optic cable has become quite instrumental in digitally connecting across from the office to the factory, network connectivity across the university campus. Fiber optics have always been considered as a kind of cabling system which generally encapsulates strands of glass fibers within them which are further safeguarded through an insulated casing. In today’s trend, the optic fiber has been specifically and exclusively chosen for long distance digital connectivity and to also accommodate high bandwidth data networking and telecommunication system through PABX interfaces. Data centers have always been the centers for a database repository of multiple clients stored at one particular place. The data centers, houses the storage of both the voice and data within them and to maintain the high end communication systems between the servers and data centers optic cabling becomes an instrumental component. In fact, in the recent times, the fiber optic cabling infrastructure has been designed in such way so as to derive the optimal deployment of certain mission critical enterprise network which supports from 1GBps to 1 Tbps network bandwidth. The fiber optic system of cabling has been found very impactful with their connecting link from the internet service provider (ISP) to the central server through the local area network (LAN). 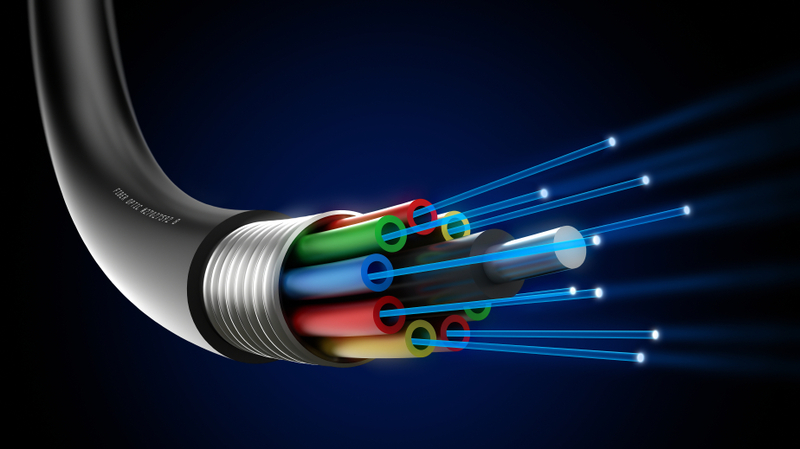 Fiber optics had always been to known to accommodate higher bandwidth data transfer as compared to the conventional copper cable with similar thickness. The fiber cables are known to carry the bandwidth at 10 Gbps, 40 Gbps and even to the extent of 100 Gbps which have become the standard connotation. Fiber optics bring about superior data transfer without much interference to certain electromagnetic interferences which certainly hits the copper cable to a significant extent. As an analogy, the physical properties of glass and fiber cables are completely not affected by such interferences. Fiber optics are less prone to go down with their bandwidth so the company does not need to have components for signal boosters. VRS Tech has been persistently deploying and aligning the fiber optic connectivity to major customers in Dubai, UAE and have digitally empowered them towards accommodating the higher bandwidths which incorporate both the data and voice connectivity.